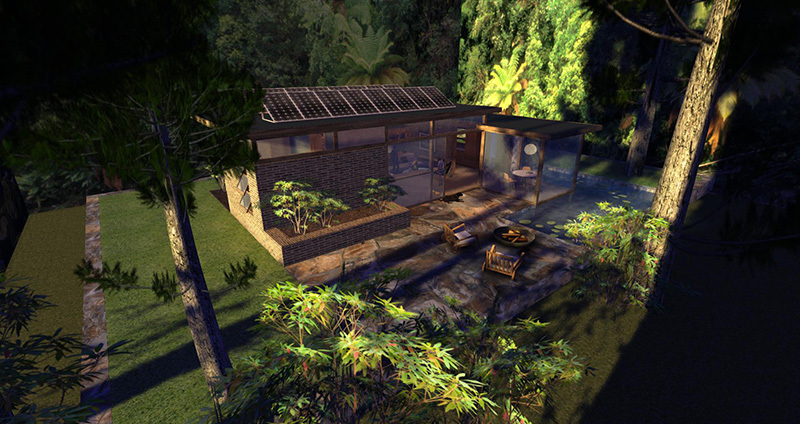 Join us at 2pm SLT today, Monday 16th September for another episode of our new season of Designing Worlds at our studio in Garden of Dreams, as we visit the homage to the post World War Case Study Houses, with two of them being recreated in Second Life by the talented designer Painter Meriman. The Case Study Houses were experiments in American residential architecture sponsored by Arts & Architecture magazine, which commissioned major architects of the day to design and build inexpensive and efficient model homes for the United States residential housing boom caused by the end of World War II and the return of millions of soldiers. 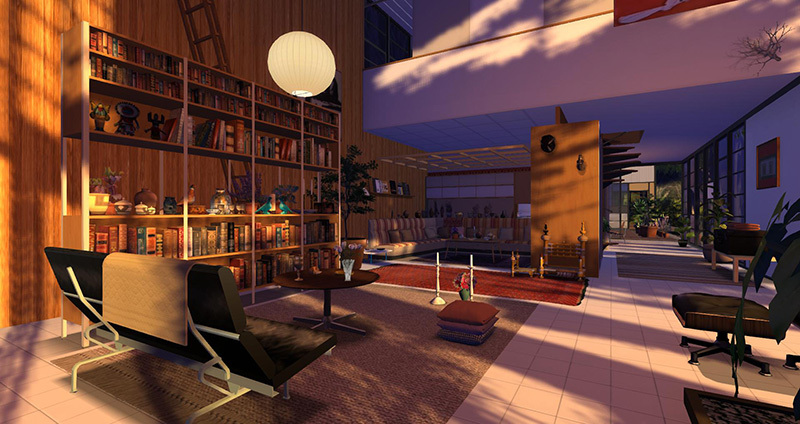 The core idea of a Case Study house was to hypothesize a modern household, elaborate its functional requirements, have an esteemed architect develop a design that met those requirements using modern materials and construction processes, and then to actually build the home. The houses were documented before, during and after construction for publication in Arts & Architecture. Painter has created homages to two of these houses (both of which still exist in Pacific Palisades), the Entenza House (Case Study House No. 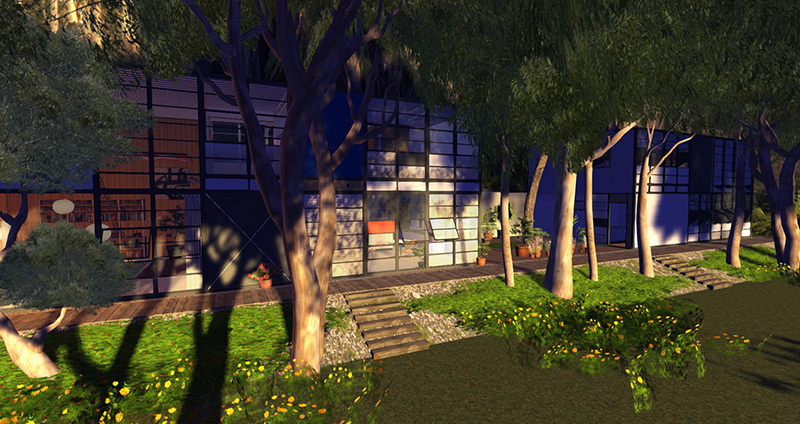 9, which can be seen here) and the Eames House (Case Study House No.8). We will be looking at the buildings, and talking about the background to the Case Study Houses project – as well as taking a look at how this has inspired Painter’s latest home. It makes for a really fascinating show – so do come and watch it at 2pm! 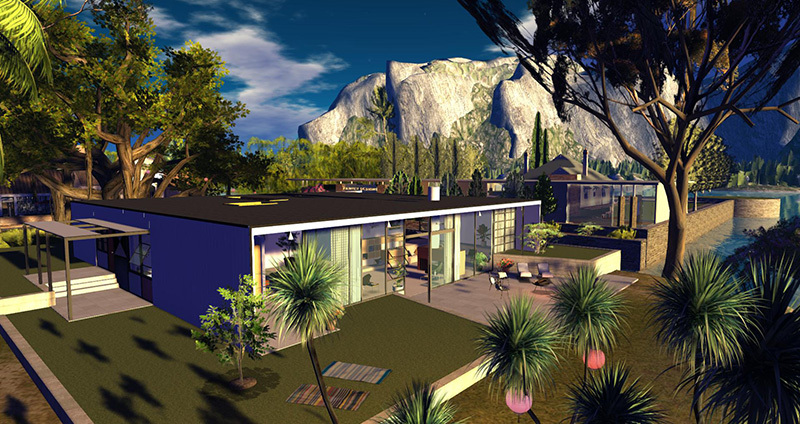 Previous Post: Prim Perfect’s special new issue on nonprofits in virtual worlds is out now!